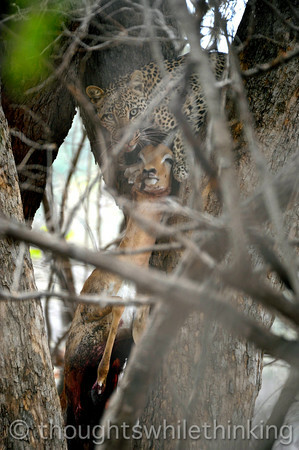 The leopard took the impala up on the side of the tree away from our view. It happened very fast. The next thing we knew, he was well up into the tree looking down on us.